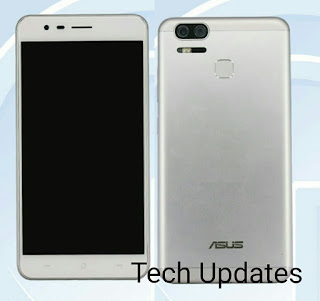 According to TENAA listing Asus Z01HDA feature a 5.5-inch Full HD (1920 x 1080 pixels) Display powered by a 2.0 GHz Snapdragon 625 Processor paired with 2GB,3GB, 4GB RAM and 16GB, 32GB, 64GB internal storage which is further expandable up to 32GB. The device runs on Android 6.0.1, Asus Z01HDA packed by a 4850mAh battery. On camera it has Dual rear cameras but According to specs sheet listed it has 16MP rear camera second camera could be 13MP according to earlier leaks and 13MP front camera. According to earlier leaks ASUS Zenfone 3 Zoom (ZE553KL) with codename, Z01HD has been certified. It has a 5.5-inch Full HD (1920 x 1080 pixels) 2.5D with curved at the edges, smartphone will be powered by a octa-core processor Qualcomm Snapdragon 625 (MSM8953) with Adreno 506 GPU paired with 3/4GB of RAM and 32-64GB LPDDR3 eMMC internal storage expandable with a microSD card slot up to 128GB. The battery will have a capacity of 5000 mAh. On camera, it will come with Dual rear camera one with 12.2 and 13 megapixels and13 megapixel front camera. Asus Zenfone 3 Zoom comes in Navy Black, Crafts new silver, gold luxury expected to launch soon. Asus is holding event at CES 2017 on January 4th where company is expected to launch Qualcomm powered smartphone. Asus Zenfone Zoom was also introduced at CES 2016.